How cute is this shirt? I saw this in Zara and was instantly drawn to it. 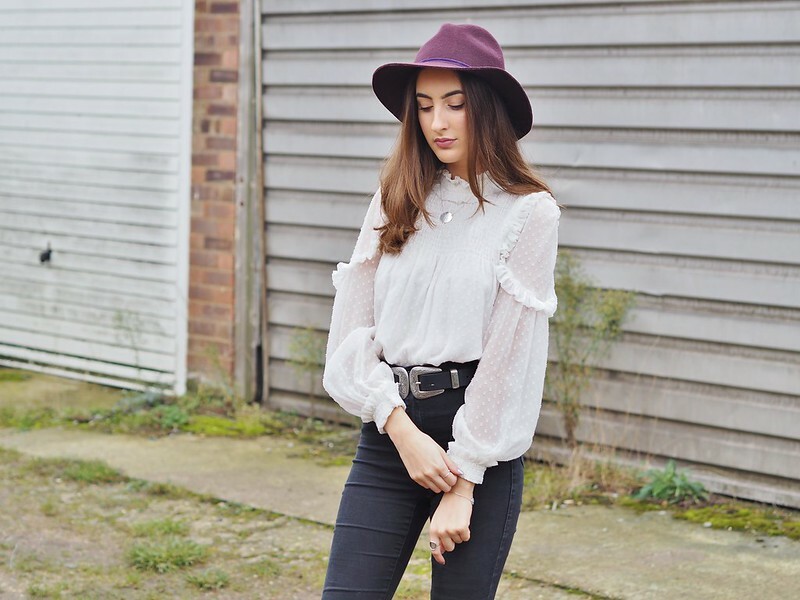 I'm not really a fan of blouses but I loved the detailing on this one with the ruffled design on the shoulders, the embossed polka dot pattern and the polo neck. 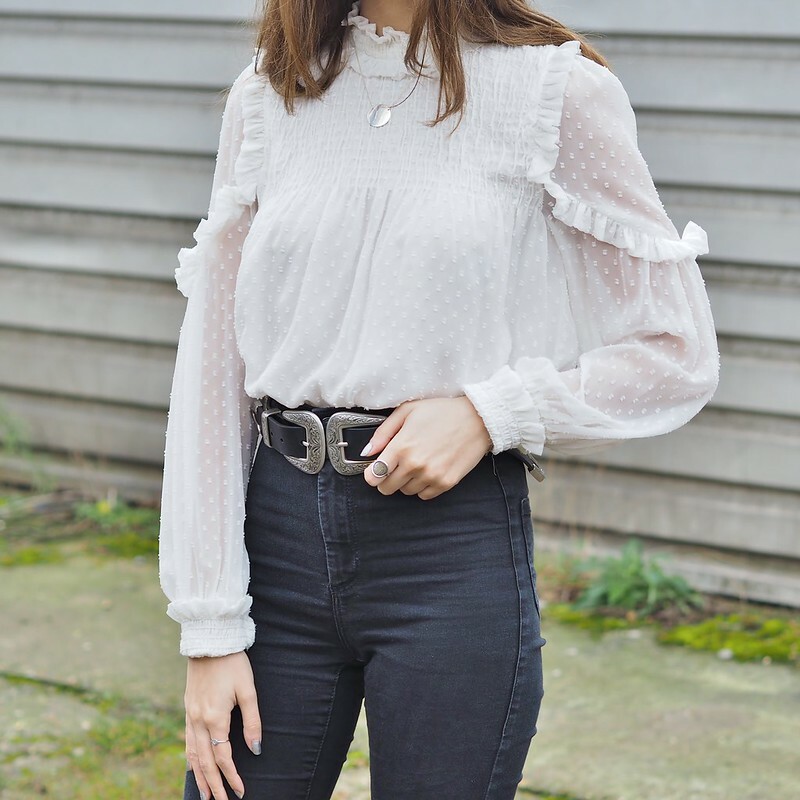 I envisioned this as the perfect staple for layering my looks - this underneath a dungaree denim dress or cami style dress would look ah-mazing! I love mixing up the textures of an outfit and I feel like this shirt is so great for this as well as it being so versatile. 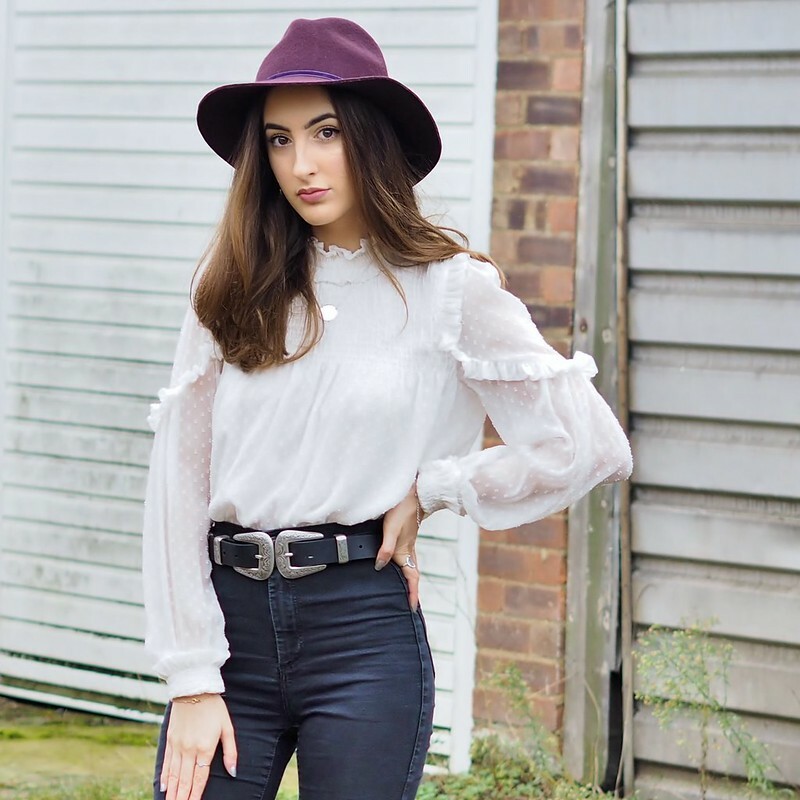 I kept the rest of the look quite simple with my trusty Topshop high-waisted Joni jeans and heeled sock-style leather Zara boots (I seriously just love how these boots make every outfit look SO good). To finish off, I paired with this cool belt I got from Topshop also which has a cowboy-esque feel to it and I just think it ties the whole look together.